Here is the look coming into the announcement from ECB. Hovering over yesterdays pit session low. I think today's close is going to be awfully important for the intermediate trend. 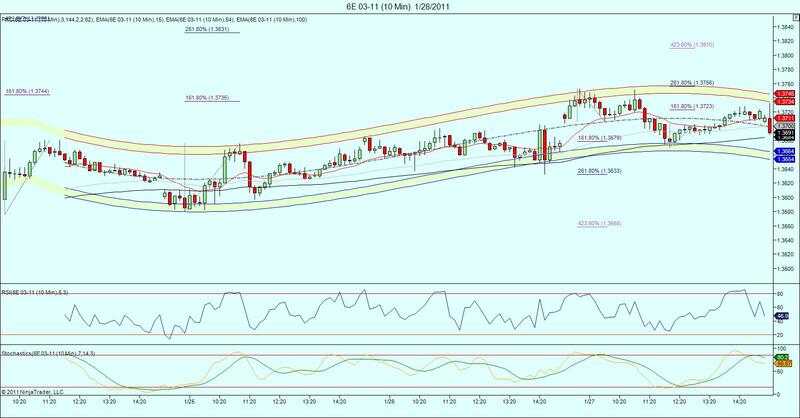 trying to lift off the 61.8% retrace of range ..
That one min. candle was very telling ..